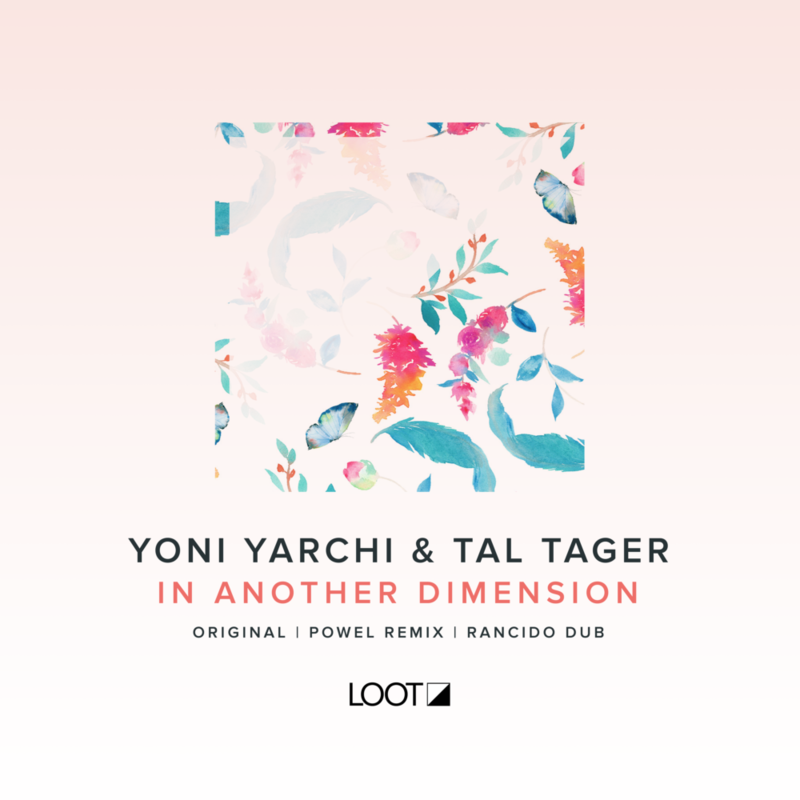 We welcome the Israeli duo Yoni Yarchi & Tal Tager back to Loot Recordings with open arms. This is a special release that takes a dive deep into the world of emotive, thoughtful dance music that includes superb remixes by Powel and Rancido. “In Another Dimension” is a heartfelt journey that reminds of playful, carefree days of summer with distant sounds of joyful children in the background. The throbbing bass and tight percussive groove is sprinkled with gentle piano melodies and guitar riffs that compliment the swelling synth lines and overall mood of the track. This is a musical affair that will have you dreaming and lost on the dance floor. The first remix comes from Powel, a quality purveyor of melodic deep house on labels such as All Day I Dream, Anjunadeep and Kindisch. He delivers a wonderful interpretation that includes elements of the original, but includes his musical prowess and keen sense of musical storytelling. Lush pads, violins, tinkling pianos and memorable melodic riffs will stay with you long after you’ve heard it, encouraging you to return to it over and over. Rancido, whose productions have appeared on quality labels such as Innervisions, Connoisseur and Still Var Talent, is one of the rising talents on the Dutch scene. His remix centers around an afro-beat, deep house vibe. The energy and tension continuously builds as a slow rising synth growls and grinds throughout the track, making this one perfect for the big moments of the night.